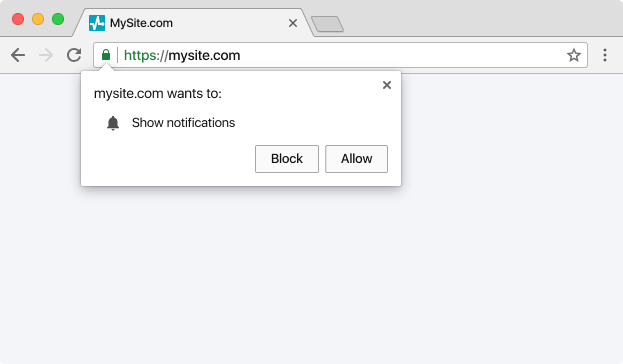 Web/browser push notifications are messages from a website you receive in your browser. They notify about sales, important updates or new content on the website. 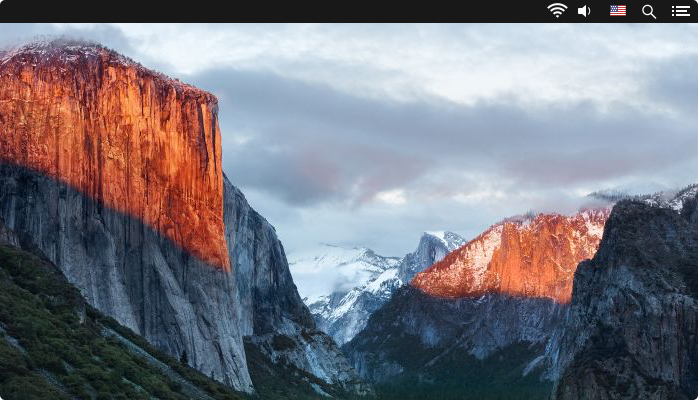 It's a new marketing channel gaining in popularity — browser notifications are hard to miss and easy to subscribe to. Great! A notification is shown on your screen! 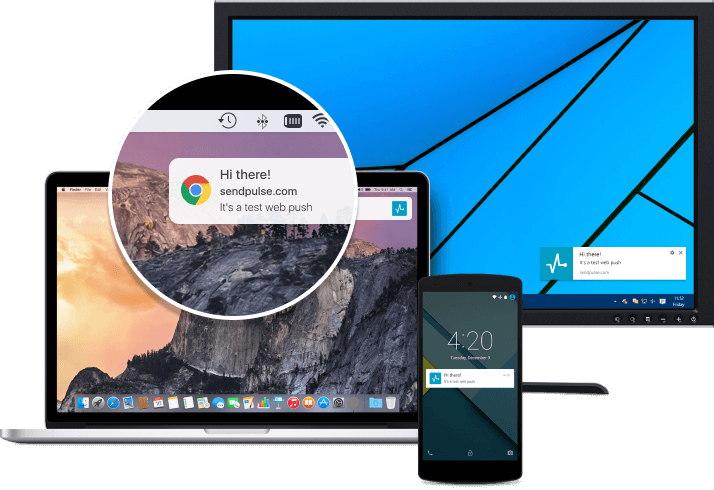 Send instant browser notifications to your subscribers’ phones. Get in touch with your customers wherever they are. 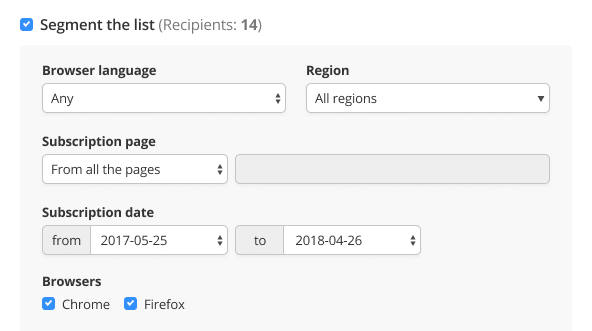 You can choose the look of the subscription request and time when you want to show it. 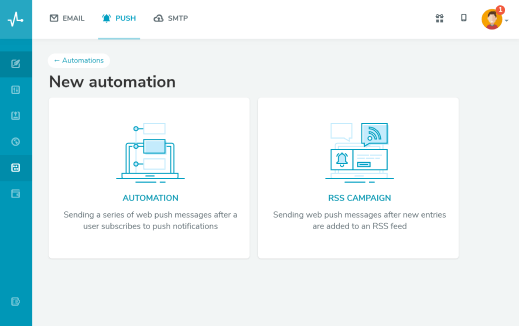 Set an automation flow for new subscribers or create automatic notifications based on RSS feeds. You can use additional user data in notifications. You can also segment your subscribers by their location or other details. Get more clicks by using А/В testing! Test different versions of a notification to see which one strikes a chord with your audience! Visitors see subscription request as soon as they get interested in your site. Users will see your notification as soon as they come online. The whole service with all its features is completely free. Forever! Send browser notifications through your personal account or set up automatic messaging when certain conditions are met. 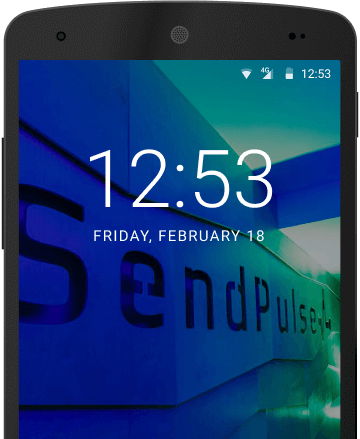 Use our SendPulse API and send web push notifications, emails, and SMS through one platform. Allow advertisers to send web push targeted ads to your subscribers. You gain money on a per click basis — every time a subscriber clicks on such advertisement. Add just one line of code to your site and visitors will immediately see subscribtion request from you. 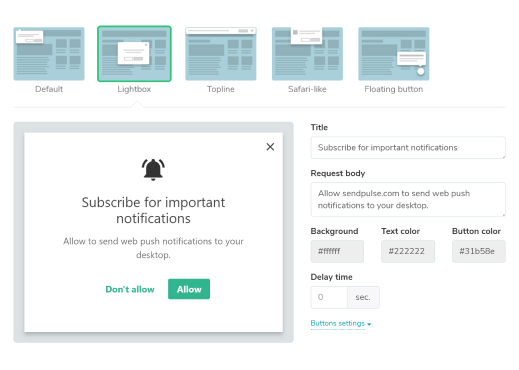 Use our REST API to integrate push notifications into your CMS, CRM or other system. 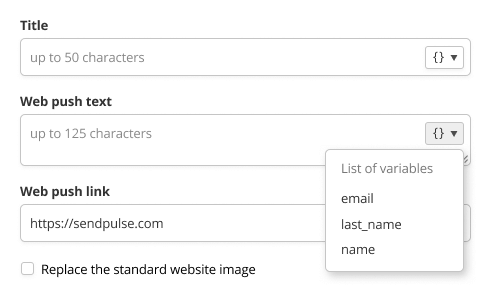 You can automatically send personalized web push messages to your customers from the system you already use. You will quickly integrate push notifications with easy-to-understand API and complete developer documentation.